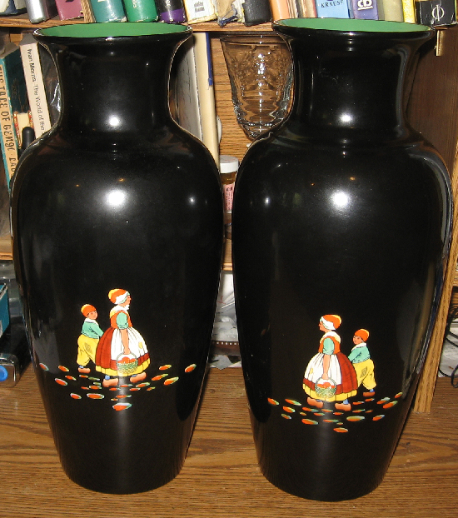 These Zeeland vases are a lovely puzzle. 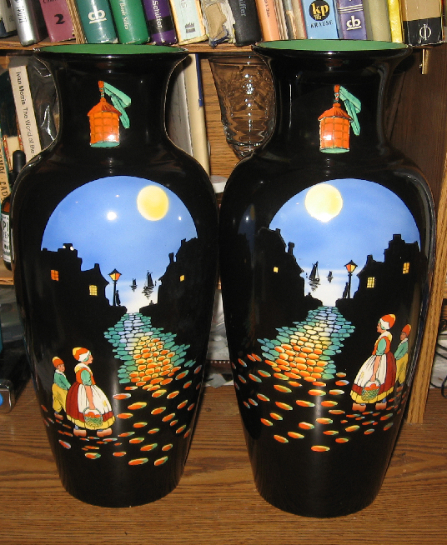 The style and base make them look like Falcon Ware from Thomas Lawrence, but they were made by Sylvac. However, they actually were made at the Lawrence factory in Longton very shortly after Shaw and Copestake bought that company in 1938. I suspect that the Zeeland design may have even already been in preparation since it's so much in the Falcon Ware look. The shape almost certainly already existed. 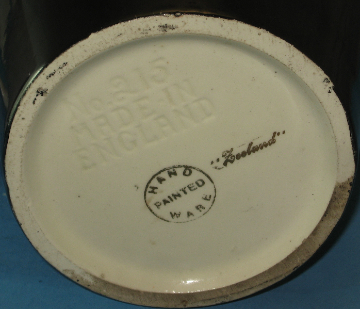 Zeeland items seem to be uncommon to rare, which could be because of the war, which limited most pottery production in England, or it could be in part because so little is known that they just don't show up well in internet searches......maybe some of both reasons. At any rate, I really suspect that these are rare because of the size and because they are still together as a "facing" pair. Form and decoration are traditional in many ways, but the bold colors still pull from Art Deco tradition, and the way the cobblestones separate as they come toward the front adds a very surreal, modern element. 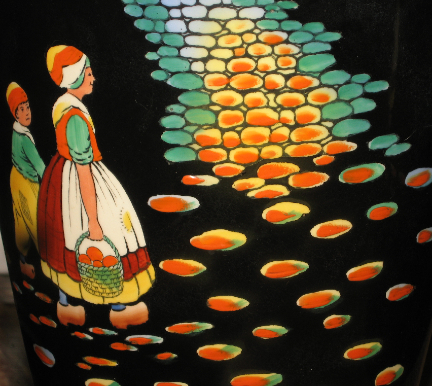 Oh, and Zeeland is a province in The Netherlands, which explains both the name and the decoration. Size: Height is about 14 5/8". Condition: excellent with no damage, no repairs. Of course, all sales are fully guaranteed.